Sleep – The Hot Topic For All Parents? I’m so excited about this summer as my garden has almost finished being landscaped. I’ll soon have a garden to enjoy. Not one to be a loner though, I’m looking forward to sharing the garden with my friends and family. My wood fired oven is already built and my patio was laid just last week. Now I just have to focus on the finer details… the entertainment. I’m looking into recipes for summer brunching but I’m hoping to match meals to an easy classic cocktail – The Bellini. I’ve spent the past few years pregnant or breastfeeding. During that time it has been a struggle to find a drink that is like… well a real drink. I’ve never been one for wine and tonic water can only hit the spot for a short period. I think now I can explore a little more flavour and mix up some fruity party drinks over the coming months. This bellini recipe from Absolut looks super easy. Its basically vodka, peach puree and champagne. It even describes how to make your own peach puree if you struggle to find it at the supermarket. You might be thinking, well I can’t drink those all day! No problem: one thing I like about this link is that there are not only recipes for using with their vodka but there are also some non-alcoholic suggestions for pregnant ladies or designated drivers that want to feel like they are part of the party. Check out the ingredients here at Absolut vodka Bellini recipes. I want to make the most of my wood fired oven so I’m going to prove some pizza dough, make a tomato base sauce and then invite the guests. I usually ask guests to bring one topping (or cheese) and then when everyone arrives we have an abundance of ingredients to make interesting pizzas in the oven. I love to keep the ingredients minimal and then scatter fresh garden herbs or rocket salad on the top for added B Vitamins. Once baked these can be nibbled on during a brunch or evening party. Don’t forget the bellini! I can’t wait to welcome friends and family this summer. What do you think to this summer drink suggestion for your garden party’s? A routine can be boring and seem mundane. But routines can also be comforting, sometimes without us even knowing it. Routines after all provide structure in a fast paced and forever changing environment. You might loathe them but take them away and life just isn’t the same. I might have porridge, cereal, toast or a smoothie for breakfast depending on my mood. I’m human after all. I imagine my little 2 year old might have similar days. He isn’t talking much at the moment so he can’t tell me what he wants. This is why I set out his options for him to pick each morning at his breakfast table. I recorded a video of George picking his breakfast. I love this little boy to pieces. I’ve picked up on a few life hacks and time saving tips over the years and I keep mopping them up from all over. Some seem like second nature. I wanted to share my little life hacks with you to see if they can help you with any part of your life. I’ve included 3 little life hacks for this weeks instalment. One of my recent developments was a to do list sheet to help me organise my time more effectively. I use the sheet to record regular jobs and then I have others printed to record specific weekly jobs. Please check out my other blogs and vlogs for details of other freebies. The best way to ensure you keep updated with all my freebies is to subscribe via email to my blog. My Vlog explains this weeks life hacks and how I use my printable which is free to download from www.adelemary.com until the end of June 2017, thereafter there will be a small charge. So grab it while it lasts. Don’t forget to hit like, subscribe and share. Follow me on social media for all updates form Adele Mary. I have lived near Crich Tramway Museum for almost 5 years now. I have walked past it on many walks past the Crich memorial tower and thought that it would be a nice place to visit. The thing is, I’m not that big on trams. We decided to give it a go this spring bank holiday and boy we were not disappointed! The trams take you to various parts of the immersive village where you can take in stunning views of the Derbyshire landscape or investigate the history of the area. At one of the stops you can hop off your tram and enjoy a small circular walk to the Crich Memorial Tower which overlooks the attraction. The prices are very reasonable for the family. We paid £16.50 for each adult. Under 4’s are free so we sauntered in at a little over £30. Children’s tickets are £9.50 and there are family tickets available as well as concessions. The best thing about the tickets though: once you have paid to go in, you get free return within the year. You just need to keep the receipt that you have signed. There are a few themed days that the free return is not valid on (5 per year) but you can’t really grumble at that. It can be difficult to find attractions which cater for the whole family when your little ones are so small. With George being 2 he could not really enjoy the fun fair. The mock up beach area just presented an opportunity for him to run off and find a hill to ascend and descend repeatedly. That being said, the village was push chair friendly and he was able to get out and explore at various times during the day. George enjoyed his first Punch and Judy show as well which was a pleasure to see. IF you are looking for a relaxing day out with a young family, I would definitely recommend Crich Tramway Museum in Crich Derbyshire. Website. If you wanted to incorporate a Derbyshire walk or some geocaching there are some nice walks (and geocaches) nearby. 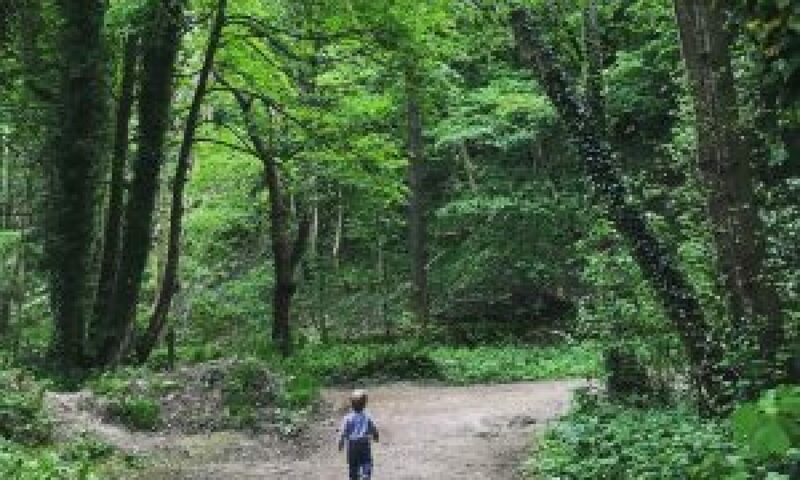 Check out my walking with toddlers blog for tips or for my summer fun tips. This is actually a little bit of fun. Why is it that we buy (or have bought for us) expensive toys… and lots of them, then it’s the humble cardboard box that gets pride of place at play time? So if you want to know 101 Ways of getting creative with a cardboard box, just give your kid one and they’ll show you! Let’s have some fun with this and see what our kids come up with. I’ve had this little cookie jar toy since George was around 7-8 months old and he was grabbing things. As he has developed to an age of now 25 months, he still plays with this colourful toy. He now plays differently with the toy and I can see him developing new ways of making it interesting for him. It has become a toy that he always seems to go back to and I would definitely recommend to anyone who wanted a shape sorting toy for their children but didn’t know what to invest in. I wanted to share how we play and look forward to playing with this toy. I’ve included some extra games we play with the cookie jar toy. Why not leave a comment with how you have innovated with this toy? Don’t forget to hit like, subscribe and share this video.